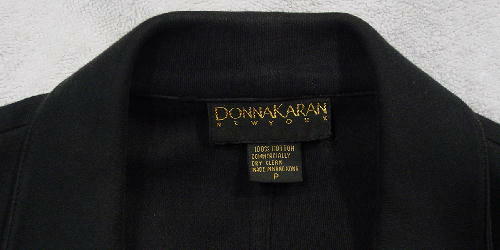 This black Donna Karan jacket is 100% cotton. 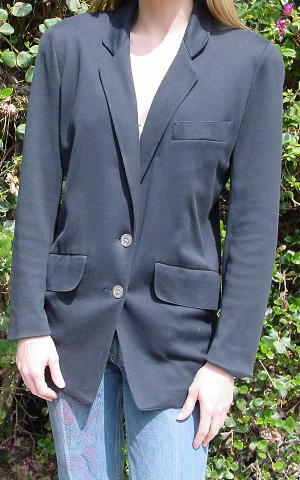 It has shoulder pads and very long lapels. 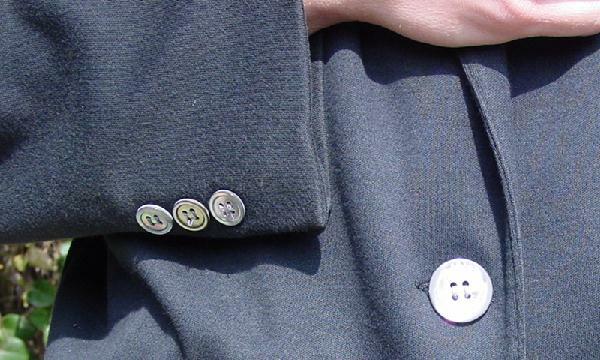 There are three front pockets, one left open breast pocket, and 2 lower pockets (which are still partially sewn shut) with large angled flaps. 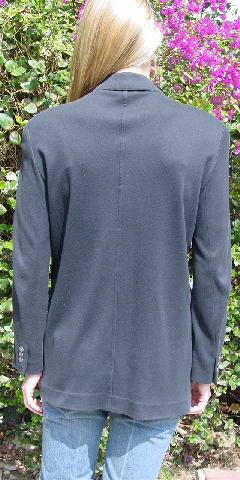 It has 2 large gray iridescent front buttons and the long sleeves have three gray iridescent buttons. There are large shoulder pads. She bought it when she was living in New York. It was one of her dozen black Donna Karan jackets - her entire wardrobe there was black. Since moving to L.A., she barely wears her coats and jackets (especially not stacked), and has since "added color" to her life. This particular one she wore twice and never even broke through the stitching to open the pockets. shoulder pad to end of sleeve 22 1/2"
bottom hem side to side 16"